You can connect with me on Facebook, Pinterest, Twitter, Google+, and Instagram. 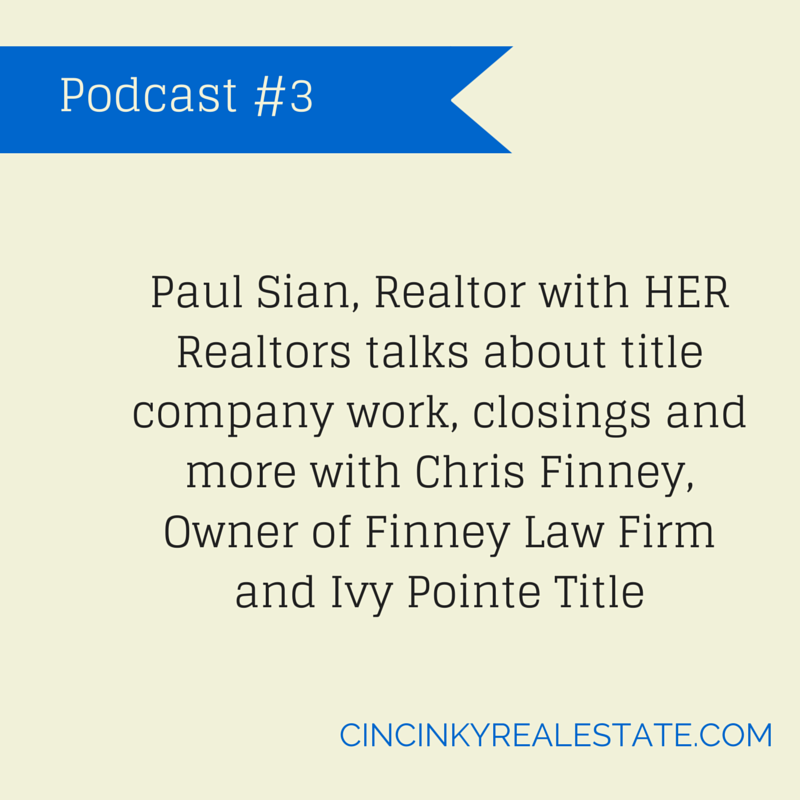 About the author: The above Podcast “What Does A Title Company Do?” was provided by Paul Sian. Paul can be reached at paul.sian@herrealtors.com or by phone at 513-560-8002. With over 10+ years experience, if you’re thinking of selling or buying, I would love to share my marketing knowledge and expertise.